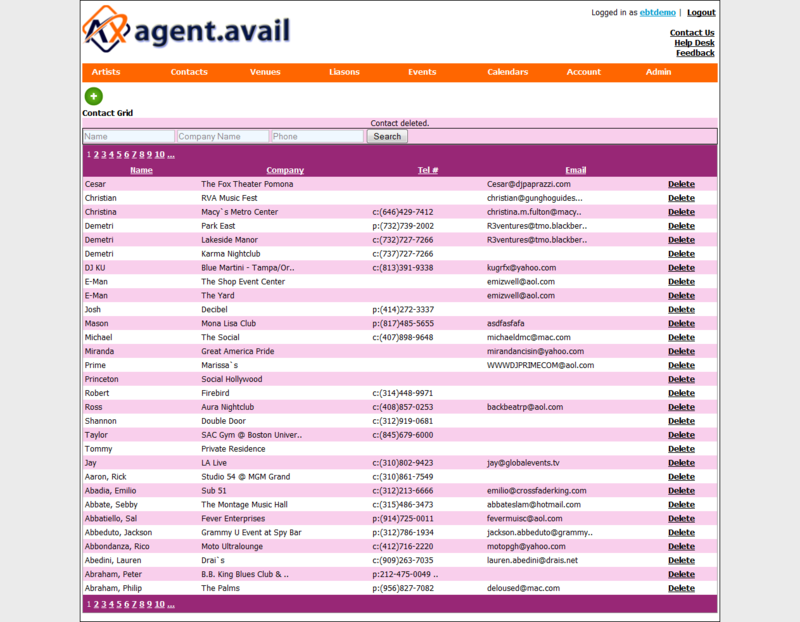 Agent Avail is a web-based program specifically designed for Agents to track their Artists, Engagements, Monetary Posting, Itineraries, Venues, and much more! It was built by an agent for agents so it is designed specifically for you! It is all web based so there is no need for an IT person to perform installs or upgrades. You can access it anywhere in the world at anytime. 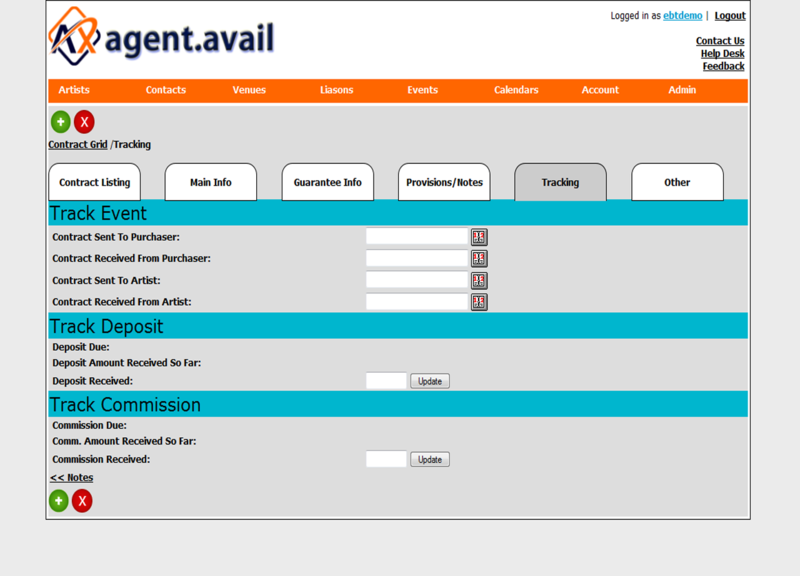 Who can use Agent Avail? 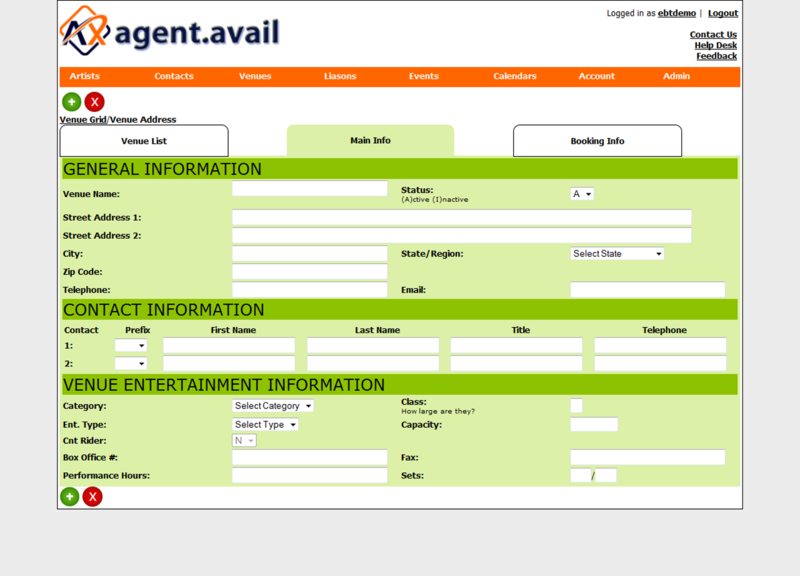 Agent Avail can be used by any type of agent whether its contracting musicians or comedians to models and actors its all here and we have customized packages to fit your exact needs. 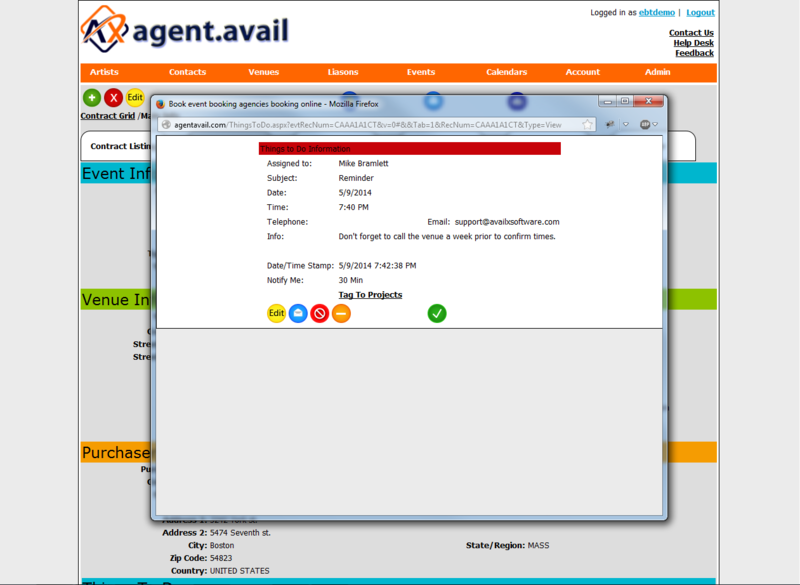 Talent can also log in to their agents site to view itinerary and information regarding events without giving them full access to the site. 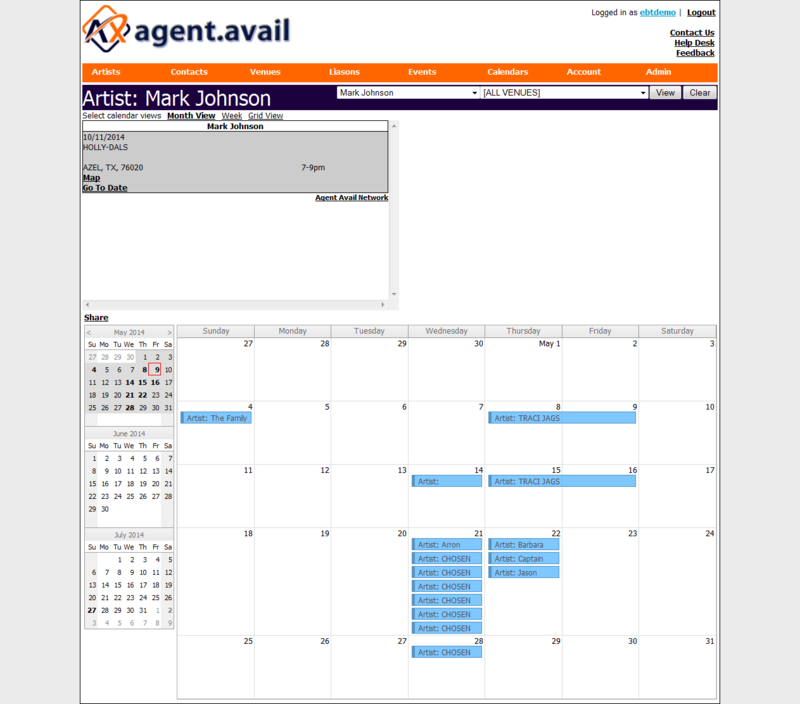 Agent Avail's most appealing feature is keeping track of your artists and events through our calendars and grids to prevent overbooking. Once you add your contract it automatically gets placed in the calendar and warns you if you try to overbook. You can also use our Holds/Blocks feature to keep track of who is available to book when you need them. This program also allows you to access it with our Mobile App on IPhones and Android systems. Listed below are some of the options that are provided with use of this program. Click the links below to see examples of our program. If you have any questions, please don't hesitate to Contact Us. Book and schedule artists, venues, etc. Print or email contracts to artists, vendors, or purchasers.